The three month competition got off to a good start on the 2nd of May 2016. Just clicking on the link took participants to a login page which they did with their mobile phone numbers. The quiz comprised of five questions. Every test taker that answered the five questions correctly got a 100% score. 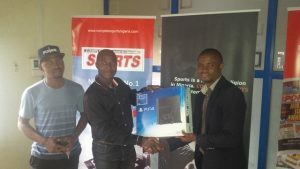 The winner for every week under review received a Tecno mobile phone, while the overall winner after the three months duration of the competition got a Sony Ps4 Console. Over the period of 10 weeks, seven winners emerged. And remarkably, two of the seven winners won a mobile phone twice, each emerging winner of the week on two occasions. The overall winner of the quiz competition, Aifuwa, emerged after amassing the highest score of 2209, and he was invited to Complete Sports offices in Lagos for redemption of the grand prize. 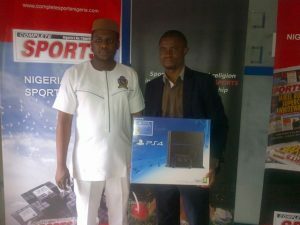 An excited Aifuwa expressed his happiness over the prize, and praised Complete Sports for always delivering to its readers and updating Nigerians with the latest sports news across the world. 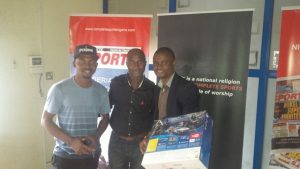 The prize was presented to Aifuwa by the duo of Complete Communications Limited's Accounts Executive, Jide Oladokun and website programmer, Demola Aloko. ‎"Think You know Sports?" was brought to you by our VAS partners, MTECH Communications and our technology partners, PASS.ng. 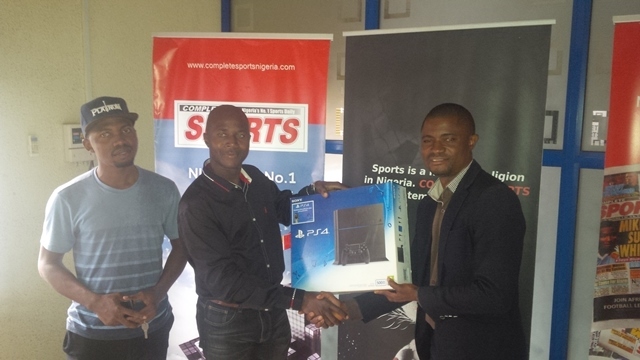 Complete Sports is happy to reward its readers for loyalty, making the brand Nigeria's NO.1 sports daily. Nigeria will beat Tanzania at least 2-0 and at most 3-1.GOOD LUCK, GIANT OF AFRICA.